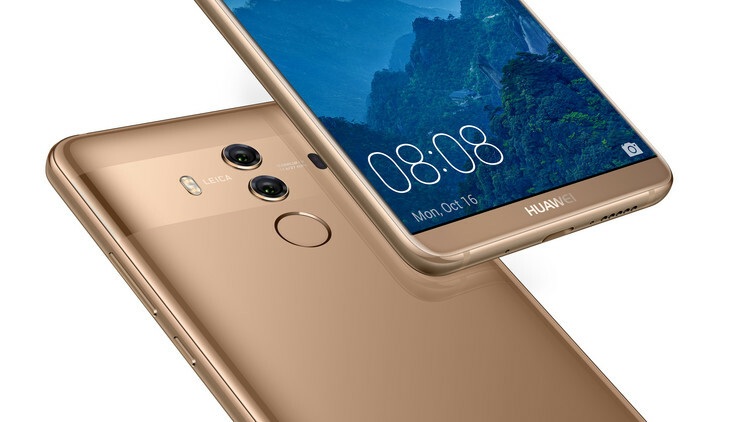 Huawei has started with the first update for its Mate 10 and Mate 10 Pro smartphones. The update enhances the quality of the beauty filter, improves battery life, and squashes some camera and connectivity bugs. The important update with version number 8.0.0.127 (SP1C00) features a long list of improvements and numerous fixes. The update has started rolling out worldwide, but won't be available on every device right away. Mate 10 and Mate 10 Pro owners will receive a notification when the update is available to download. Both the Mate 10 and Mate 10 Pro devices already ran on Android 8.0 Oreo, but this update is a pretty substantial one nonetheless. The camera now features an improved Beautify mode that can distinguish between male and female and adjusts the settings of the front camera accordingly. The phones use the Kirin 970 system-on-a-chip which features neural processing to achieve this. The update's change log also promises multiple optimizations of external apps which should improve battery life. Additionally, the navigation dock - a floating button with commonly used features - is now enabled in Ultra power saving mode and during phone calls. A common bug where the camera app wouldn't open has been dealt with. Connectivity issues have also been fixed, as the update now allows you to connect to hidden Wi-Fi networks. Pausing when playing music via in-car Bluetooth now works properly as well.